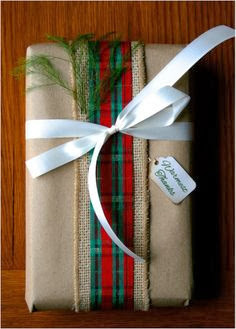 One of my all time favorite things about Christmas is wrapping gifts. 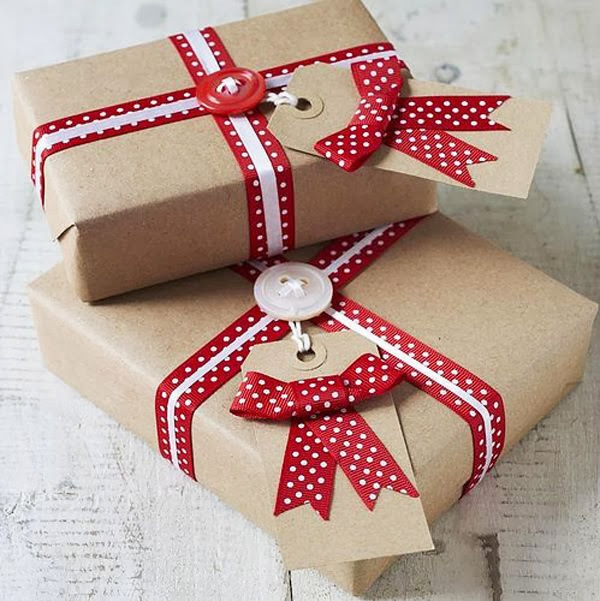 I've always been a little bit of a paper freak and when it comes to wrapping paper, I can't contain myself! 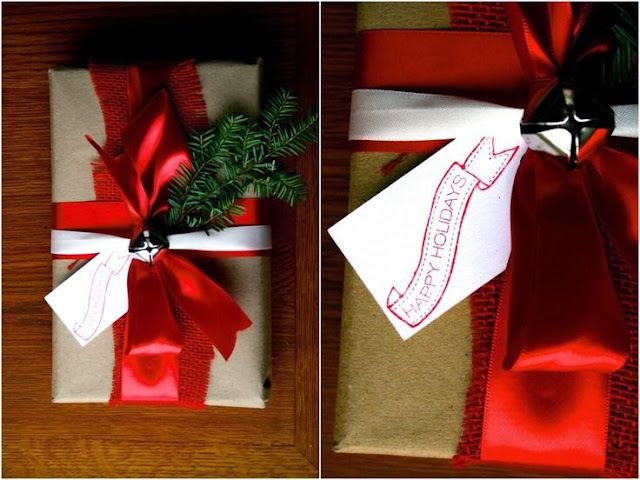 The last several years I've wrapped our gifts with brown kraft paper and adorned each one with a different yet coordinating ribbon. This year I took it a step farther and added some burlap as well. 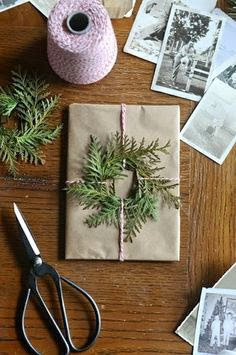 Check out my inspiration for this year's gift wrapping. Simple yet so pretty! And limitless options! 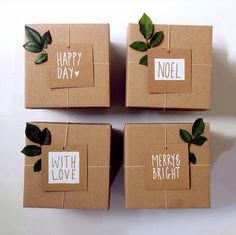 Do you love kraft paper as much as I do? Just pinned - we just "met" on Twitter. Love this post. Gorgeous!